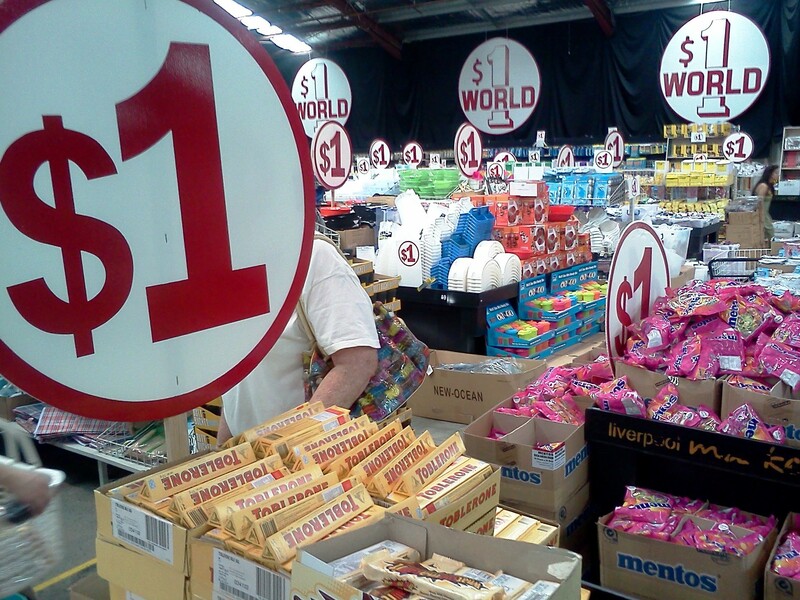 Like moths to a flame, bargain hunters seem to be drawn to $1.00 World. 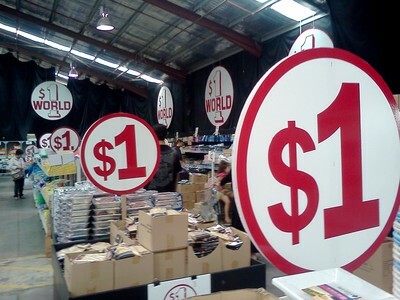 $1.00 World is one of the many stall holders at the Liverpool Markets but to call them a 'stall' holder' would be selling them short as the floor space it takes up is enormous. This place reminds me of a Disneylandesqe theme park with all its different worlds. 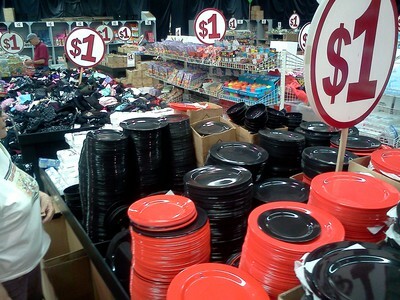 You'll also find 50 cent world, a $6.50 World and 3 for $10.00 World with some outstanding bargains like three t-shirts for $10.00. But I digress. [ADVERT]This is all about $1.00 World and the range of items is just staggering. kitchenwares to homewares, chocolates and biscuits, soaps, jocks and socks, plates, cups... the list goes on. Friendly staff lend a helping hand by doling out baskets and bags to speed up going through the check-out. Just like Disneyland, $1.00 World is sure to put a smile on your dial but you'll probably leave here just a little richer. Why? $1.00! What other reason do you need?